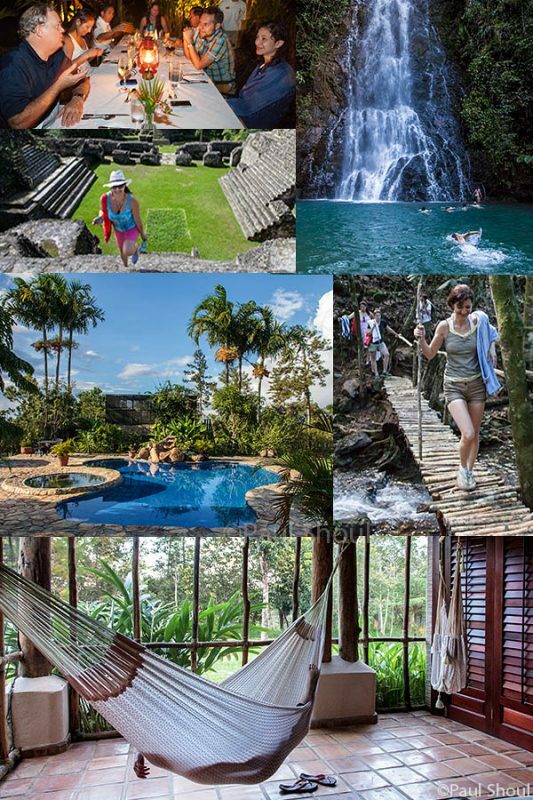 The Hidden valley inn and Reserve is located on 7,200 acres of preserved wilderness in the Maya mountains of Belize. It is not what you would expect in a country known for beach life and the worlds 2nd largest barrier reef. 1,000 ft waterfalls,, jungle trails, and incredibly diverse wildlife exist in a vast pristine landscape topped by Caribbean pine forests. This is the setting for an episode of Man Vs wild where Bear Grylss tackles the environment. What seems to be an unforgiving opponent on TV, is right outside of your window at the Inn, softer, welcoming and accessible. The Hidden Valley Inn boasts comfortable rooms all with fire places, private trails, mountain bikes, great food and knowledgeable guides. Bird watching, Hiking, caving, and access to ancient Maya sites like Caracol are just some of the activities waiting. This was a high point on my last trip to Belize, and a place I will definitely return to.